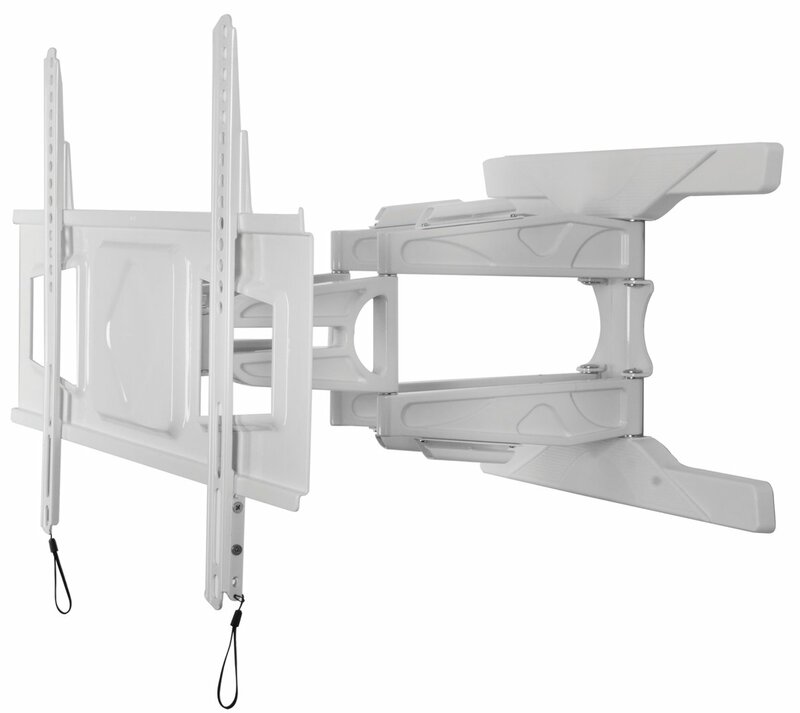 Designed to mount medium to large sized screens, this ultra-slim twin cantilever arm wall mount features full motion technology with a tilting interface and three swivel points, allowing quick and easy repositioning of screens as required - whether folded flat to the wall at a depth of just 40mm or at maximum extension. 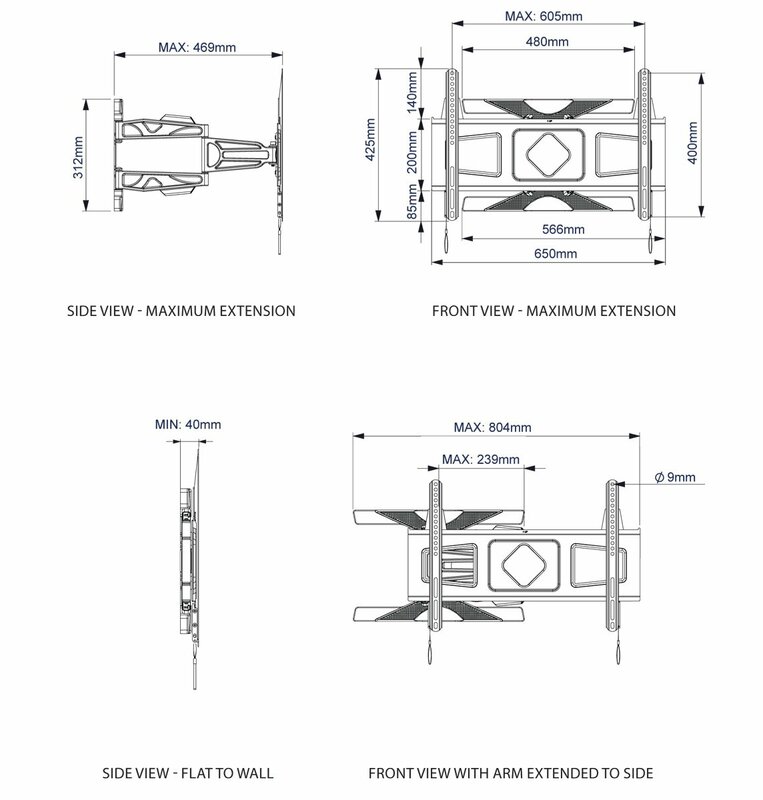 Cover plates to hide fixings and integrated cable management help make this a neat and tidy mounting solution which is ideal for commercial applications as well as home installations. A wall bracket which gives lowest distance from wall whilst still allowing easy access to rear of TV for plugging in leads E.T.C and good quality and design this was the best i could find.